First Glimpse of Tesla’s Gigafactory 3 in Shanghai, China? This YouTube Uploader Claims It Is. 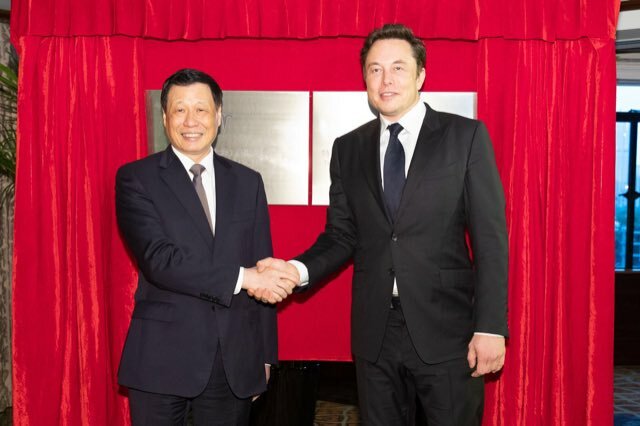 On Sunday, a video was uploaded to YouTube with a claim that it was shot by a drone above the new Tesla factory in Shanghai, China – Gigafactory 3. The video shows what looks like a construction site with a fence around it. It may or may not be authentic. If it is, then this is probably the first public view of Gigafactory 3 that is expected to start making the yet-to-be-announced Model Y SUV crossover and Model 3. Tesla has already acquired a portion of the funding in the form of loans from local banks, but construction was only slated to begin in the second half of 2019. It’s quite possible that the timeline has moved up since it was last reported, since Tesla began accepting bids earlier this month and one of the contractors had reportedly started procuring materials. As of now it just looks like a great big field of mud with some basic structures set up, including the “simple work shed” mentioned in the description, and a few other structures. At full capacity, Gigafactory 3 is expected to produce 500,000 cars a year, but that will only happen in four to five years from now. Tesla’s stated plan is to start production well before that, possibly in the next two years. It should take them that long to establish a manufacturing unit with at least a third of that capacity. Again, this is an unverified video, so take it with a pinch of salt.